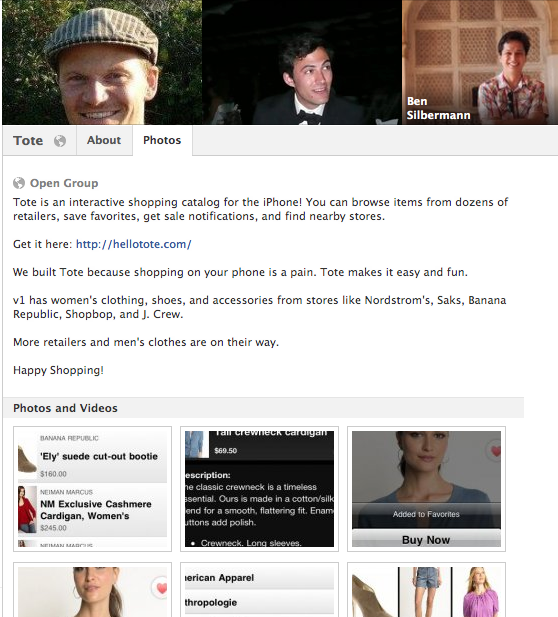 HelloTote was an iPhone app by Cold Brew Labs, the parent company of Pinterest.com. I’m surprised that articles on Pinterest in Fortune and Business Week start the story with the launch of the Pinterest.com beta launch in early 2010. The story really starts in 2009 with a mobile app and seed funding. The holding company for Pinterest.com, Cold Brew Labs, was incorporated in 2008. One of the company’s first plans was to launch a mobile shopping app called HelloTote. According to the SEC, Cold Brew Labs raised over $500,000 in July 2009 from investors. I know this round included included the venture capital firm Firstmark. 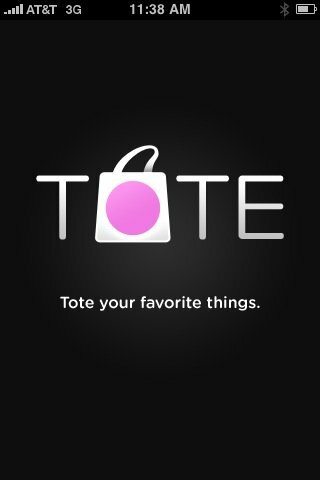 HelloTote's Facebook group page, which has pictures of Pinterest.com founders Paul Sciarra and Ben Silbermann, mentions using the app to save favorites. Fortune must have been mistaken when they write that the Pinterest team was “hard up for cash” in January 2010, just 6 months after closing $500,000. The small Cold Brew Labs team raised an additional $700,000 – $1,000,000 in November 2010, suggesting they were ran lean but never that close to bankruptcy. This post by me originally appeared on the blog of eLance, an outsourcing platform that I used to find contractors to build a prototype…and later to build KartMe’s first mobile app, which got a “Staff Pick” from Apple. The post was shared over 600 times. How did I graduate from Harvard with a live website and iPhone app, without spending my days programming? Mark Zuckerberg and Bill Gates dropped out of school to get their companies off the ground. But with Elance, I was able to get KartMe.com and KartMe Mobile running while still making it to all my classes and getting my homework done. Soon after launch, Apple awarded KartMe Mobile a “Staff Pick”. This led veteran investors to get involved. Before I knew it, I was living my dream of building a useful product used by thousands. It all started when I told people I’d be moving to Boston. Suddenly I received lots of recommendations–restaurants to try, books to read, movies to see, hotels, ski resorts, and more. At first, I saved these ideas on scraps of paper. Then in a draft email. Finally, in an Outlook contact that sync’d with my phone. Months later, I realized I never used these recommendations. When I was out and about in Boston—I couldn’t quickly see which restaurants were around me. When I was walking by a bookstore or planning to go to a movie, I couldn’t quickly pull up my “bucket list” (that is, lists of recommendations of things to do). That’s when I had the idea for KartMe: an Internet site for the creation of online lists, where recommendations, reviews, prices, and notes are at my fingertips. It would help me organize and save. When a friend asks, I could share a list. I could use it at home, work, in class, or on-the-go. Saved information would instantly be available on my iPhone, BlackBerry, or Android. I wanted to get a prototype together quickly, but at the same time I didn’t want to spend my days in front of a computer. Class was interesting and meeting classmates was really fun. I’d only be in school briefly—and I wanted to make the most of it. I chose to outsource so that I could be efficient with my limited time in school. Elance was my first choice because of the number and quality of vendors who could bid on my proposal. Using Elance, I started working with a firm in India to put together a prototype website. Before class at 7 a.m., I’d chat with them using Skype. Once we had a prototype, I’d sit in our student center and show it to passing classmates. Based on their input, I decided to pursue the idea further. Again using Elance, I hired a team to build a full website. As soon as we started getting free traffic from Google, I had another firm on Elance build the iPhone app and mobile website. I launched the site upon graduation. In the course of 6 weeks, Apple twice gave KartMe’s mobile web app a “Staff Pick” and TechRadar.com called our site “really useful”. We raised some angel funding and are improving and marketing the product. KartMe has helped friends and families to save, organize, and share 20,000 recipes, restaurants, books, movies, home design ideas, wedding dreams, travel tips and more. We’ve served millions of webpages, partnered with iVillage, been featured in Cosmopolitan, and more. I’ve had a blast running the business – particularly as KartMe has deepened relationships between families and friends. Going forward, we’re making KartMe better at delivering more value to our members. We’re making it possible to pass grandma’s recipes down from generation to generation, while also ensuring you can look them up on your iPhone. We’re helping bridal parties share style ideas from their phone. And we’re ensuring friends can exchange mobile travel guides. If you want to follow our progress, start cataloging and sharing your favorites at http://kartme.com. KartMe.com is Phil Michaelson’s first company. He started the website, built the mobile version, and attracted users and investors initially by using Elance. Use KartMe.com for free to organize your recipes, plan your wedding, collaborate on a home design project, or organize travel tips, books and more. With KartMe Mobile, you’ll never forget an ingredient and can easily share with friends your photos of cooked dishes or fashionable looks. age, been featured in Cosmopolitan, and more. I’ve had a blast running the business–particularly as KartMe has deepened relationships between families and friends. 1. Angels want to see you making measurable progress. To get to the next level, you’re going to need to show measurable results. Whether it’s revenue per customer, user growth, or a viral coefficent, something measurable is required to either raise money or pay your bills. Start measuring something now. It could be retention, content creation, unique visitors, bounce rates, something. Should you get investors, they’ll be following progress in monthly updates…which will mostly include numbers. So start measuring, and start showing improvements to investors. Investors know your ideas are going to change, and all they’re going to have to judge success on is numbers, so you might as well start executing and improving based on more than just your gut. A big mistake I made was showing investors new “designs”, thinking that qualified as measurable progress. No one cared. In fact, they just wondered why the designs weren’t live and doubted my ability to execute quickly. To summarize, get to know angels a few months before you want to raise funds, and start showing measurable improvements. 2. Angels like simple ideas. Investors are busy. Angels are even busier as investing is often a side project for them. They’re not all going to sign up for your product. They’re not all going to read your business plan. Give them a simple explanation that they can remember and explain to their colleagues, spouse and child. When I explain KartMe now, it’s: we help people share lists and we monetize with commissions. 3. Angels like teams. Ideally, your team with have 2 technical co founders and one business person. It seemed that every investor had a story about a technical person who became unintereseted in the company, leaving the business person floundering. They like to see long standing relationships between teammates located in the same location, so flight is unlikely. They like to see that the business person can “attract talent”. They like the idea of 3 people working until midnight for what amounts to a very low hourly cash wage. 4. Angels are sophisticated investors. Nearly all angels I spoke to throughout the process knew everything I’d learned in business school about fundraising. They all wanted price protections, participation opportunities, “caps” on convertible notes, etc. Once you get beyond friends, family, and supportive entrepreneurs, assumes angels willl know more than you about investment terms. The investors committed to KartMe have probably done over 100 deals as angels, VCs, and private equity investors. They’ve gone through every term in our agreement, thinking about good and bad outcomes. They thought to set aside funds in case things go bad (and they can buy more of KartMe at a discounted price) or good (and they can preserve their share). With the new angel funds, like Founders Collective and IA Capital Partners, I’d assume the sophistication of angels is ever increasing. 5. Closing takes momentum, which you can generate. There were at least 5 different “mini-events” I’ve used during the last couple weeks to get commitments. A PR hit let to an investor putting an offer a on the table. One party putting an offer on the tabe gave me something to get another party in. One resume of an investor got another investor excited. One parties cash in the bank account helped me get another party to commit. Getting over half the money I wanted committed enabled me to get another party to commit. As you approach your fundraise, try to have as many exciting, momentum generating events as you can ready. Fundraising has been a great experience. I’ve been able to refine the marketing pitch and have a better sense of what metrics matter. These are just 5 of the many lessons learned. More about the experience of raising capital is coming. Stay in the loop by following KartMe on Twitter. Are you afraid a competitor could quickly replicate your web application? If you’re not, you should be. For better or for worse, intellectual property rights appear to not mean much on the web. And as a web application provider, you’re offering is up there for everyone to see. Recently, Google launched two products that may have immediately put competitors out of business. Its “to do” list list is a direct threat to Remember the Milk and its Latitude product is a direct threat to Loopt. 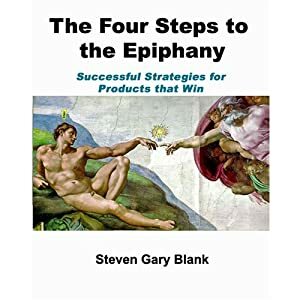 Whether fair or not, Google, Facebook, Amazon, Apple and Microsoft have virtually free distribution through their “installed base” of search, social, ecommerce, music, and browser/os users. And those firms have the technology talent to copy many web application’s features. 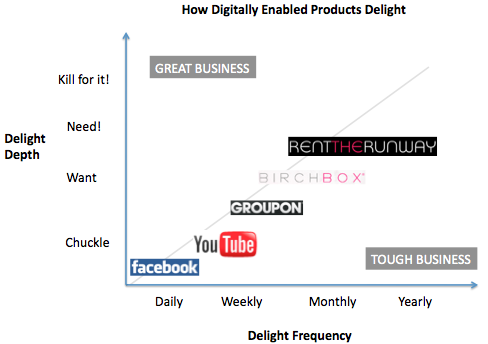 So, how can you build a business that is not a feature big firms can replicate and distribute? 1) Target a profitable niche: Most big companies only look at big markets. They need to increase the value of a multi billion dollar business. Only Amazon seems to go after tiny markets, given its decentralized operating structure. 2) Create switching costs with users: If a user has to invest time to learn your application, and placed data in your application in a proprietary format (think: photoshop and their file system), then a user is likely to remain with your service even if someone releases the same features. But be careful. Data in a proprietary format that exists elsewhere (e.g., my friendgraph is known by Facebook and Google/gmail) or data with a high decay rate (e.g., last week’s “to do” list) does not create a switching cost. Sharing sensitive data, like financial information pushed to http://www.lovemoney.com/savings/, could reduce the likelihood of switching, as users tend to stick with partners with whom they trust with their important data. 3) Build supplier and distributor partnerships: Unlike features, businesses have suppliers and distributors. If you’ve negotiated exclusive partnerships with a low cost or unique supplier or distribution partner, then you have an unfair advantage that can’t be replicated. What else do you think differentiates a business from a feature? Reddit had a catchy tagline. They were going to be your “front page of the web”. After getting an audience, and selling to CondeNast, they quickly changed business models to focus on providing a technology that can go after verticals, like cosmetics with lipstick.com, now weheartgossip.com. Why wasn’t Reddit bought to be a front page? Some things in media don’t change too much. One is that the front page isn’t where the money is. Back in 2001, I was given a case interview from a global consulting firm on why newspapers revenues were declining. The answer was that websites like Monster, eBay and Craigslist were taking away the profit centers of newspapers. The lesson was that newspapers used their front page to draw readers into verticals that they could monetize. And the web was doing a better job in serving consumers in those verticals with functionality like search instead of getting ink on your hands. Mozilla’s FireFox has an interesting in their approach to this problem. By providing you a browser or entry point to the web, they’re essentially a frontpage, if only the outside border of your page. And they’ve monetized this space by selling ‘default’ positioning in the search bar. iGoogle and MyYahoo have a similar approach to monetization. Front pages can serve as lead generation for search businesses. This is why Digg is going to have trouble delivering returns for investors with an advertising based business model. They can’t grow the value of their ad inventory unless they can steer users to a profit center. Of course, Digg can try other things. Can Digg provide a myDigg to users that serves as a front page, allowing them to tap into this search revenue? Is that where they are heading with their recommendation engine and your data made available through Facebook Connect? Time will tell.